The first preseason tournament of 2017 involving KHL clubs, the Minsk Cup, came to an end on Saturday with the final, third-place and fifth-place playoffs. 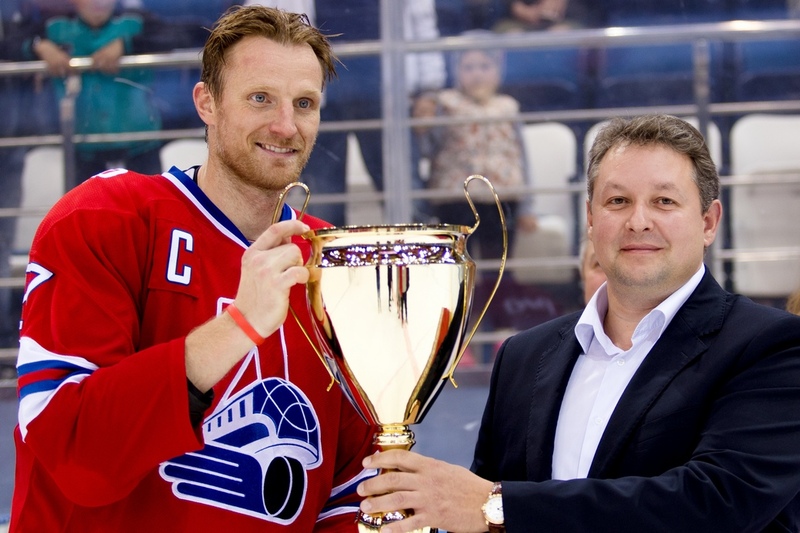 Alexei Kudashov's Lokomotiv claimed the first trophy of the preseason with a typically workmanlike victory over Dynamo. All three of the Railwaymen's games have been close affairs – a 3-1 win over Dinamo Riga, a 3-2 overtime victory over Ugra, and now this 3-1 against the Muscovites – and the past few days have highlighted their strength in depth. No matter that the Petri Kontiola line is not yet firing on all cylinders, the other forwards will step up to do the damage while the defense remains mean. Dynamo boss Vladimir Vorobyov brought a roster of 30 players to Belarus, so depth is unlikely to feature among his problems, and his team's results in this tournament - a 5-4 overtime win against Yunost and a 6-3 victory over Dinamo Minsk - have given him far more positives than negatives, even if Lokomotiv proved too tough on the day. The first goal arrived in the 14th minute courtesy of Loko's Russian international forward Yegor Averin, but Dynamo hit back in the first minute of the second period with a goal form former Flames, Predators and Canadiens forward Dustin Boyd. Then it was time for youth to take center stage. Loko regained the lead in the 37th minute with a strike from 21-year-old defenseman Nikita Cherepanov, and the win was put beyond doubt with four minutes remaining by 20-year-old winger Alexander Polunin. Ugra took the spoils in an intriguing battle for bronze against Yunost Minsk of the Belarusian Extraleague. The locals made a promising start with a goal from the USA's Ryan Walters just three-and-a-half minutes into the game, but just past the six-minute mark Evgeny Skachkov leveled for the Khanty Mansiysk team in a 5-on-3 powerplay. Ugra's go-ahead goal came in the 28th minute from Anton Korolyov, and the bronze medal was made safe by further strikes in the final stanza from Anton Kuryanov and Veli-Matti Savinainen. The fifth-place playoff was a battle of the Dinamos and was won in convincing fashion by the men from the Belarusian capital. Despite the winning margin, the game was a tense affair until the deadlock was broken on the 25:30 mark by promising 19-year-old forward Yegor Sharangovich. Further goals were added by Danila Karaban (38:30), Evgeny Lisovets (39.45) and Dmitry Ambrozheichik (57:56). Meanwhile, on the Far Eastern frontier of the KHL's territory, the men from Vladivostok embarked on their preseason voyage with a match against the national team of South Korea, host of next year's Winter Olympics. “This (match against Admiral) is very important for us in terms of gaining experience. We are playing against a first-class team with first-class players, and this is invaluable for us in our preparations for the Olympics,” - said South Korea head coach Jim Paek before the game. The match itself turned into a severe test of resolve for Admiral. The Koreans surged into a 3-0 lead thanks to goals from Kim Wonjun after 12 minutes 50 seconds, Cho Minho (16.24), and Shin Hyung Yun (24.42), but Admiral reacted admirably and showed they were not holed below the waterline. Within 90 seconds, Maxim Kazakov (25.58) had reduced the deficit, then further strikes from Pavel Makhanovsky (35.01), a quickfire double from Viktor Alexandrov (43.57 and 47.36), and finally, an insurance goal from Alexander Gorshkov turned a potential humiliation into a stirring 5-3 triumph. The most impressive fightback of the preseason so far. After beginning their preseason in Jekyll-and-Hyde mood, beating Neftekhimik 5-2 but then losing 1-5 to Traktor, no-one could accuse Sergei Zubov's HC Sochi of being predictable. On Saturday, they welcomed Metallurg Novokuznetsk to the shores of the Black Sea and posted a resounding win, scoring four unanswered goals. Simon Önerud started the rout at 17:40 and a powerplay goal by Alexander Titov doubled the Southerners' lead on 30:30. Two third-period strikes in quick succession – a 5-on-3 powerplay goal from Vadim Shchegolkov (47:09) and a fourth from Yegor Morozov (48:03) – gave the score an emphatic look. An intriguing match-up in Garmisch-Partenkirchen, Germany, between last season's runner up, Ilya Vorobyov's Metallurg, and last season's surprise package, Valery Belov's Vityaz, who had already beaten Avangard in this year's preseason preparations. As one might have expected, Magnitka's legendary firepower proved decisive. The stand-out stats: a double from Anton Shenfeld and a pair of assists from Sergei Mozyakin. Elsewhere, Avtomobilist were shut out by Dynamo Pardubice of the Czech Republic in a 0-2 loss. The Czechs inflicted back-to-back defeats on Slovan Bratislava the previous week. In the other all-KHL clash of the day, CSKA kept Sibir off the scoreboard in a convincing 4-0 win. Sergei Shumakov grabbed the opening goal in the first period, and then came a second-period onslaught in which a double from Roman Lyubimov followed by a goal from Konstantin Okulov put the result beyond doubt before the second interval. Finally, a sharp upturn in preseason fortunes for Avangard. The Omsk Men, currently at camp in Fussen, Germany, were on the wrong end of a 3-1 triumph by Vityaz last week, but on Saturday they bounced back to claim an impressive 3-2 overtime win over the Italian national team. No doubt Andrei Skabelka will be pleased that his players bounced back to win after allowing the Italians to open the scoring a mere two minutes into the game. 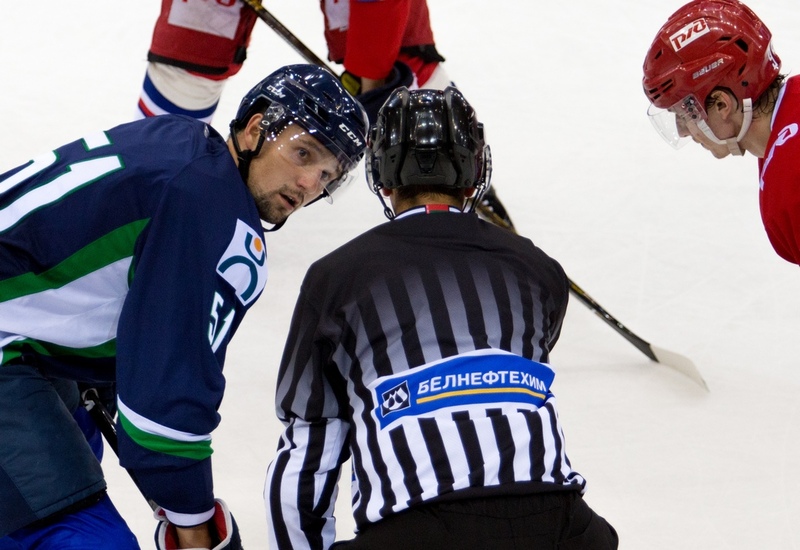 Semyon Koshelev and Nikita Lisov scored for the “Hawks” in regulation time, and Dmitry Kugryshev grabbed the late game-winner.